"It's no coincidence that we haven't won here since 2001 -- England are hard to beat in their own conditions. We're looking forward to the challenge." England captain Alastair Cook said that while Australia paceman Mitchell Johnson was" outstanding in that last series", the hosts were not signalling him out as the man to fear again. "We had the wood over him in 2009 and 10/11. It's not going to be down to one player in this series," he said. Johnson is at full throttle and ready to torment England's batsmen again in the Ashes series, his Clarke said. The left-armer almost single-handedly reduced England to shreds during the 2013-14 Ashes 5-0 whitewash, taking 37 wickets at 13.97. Johnson has never been as impressive in English conditions but Clarke believes he will again spearhead Australia's hopes when the first Test starts at the Swalec Stadium on Wednesday. 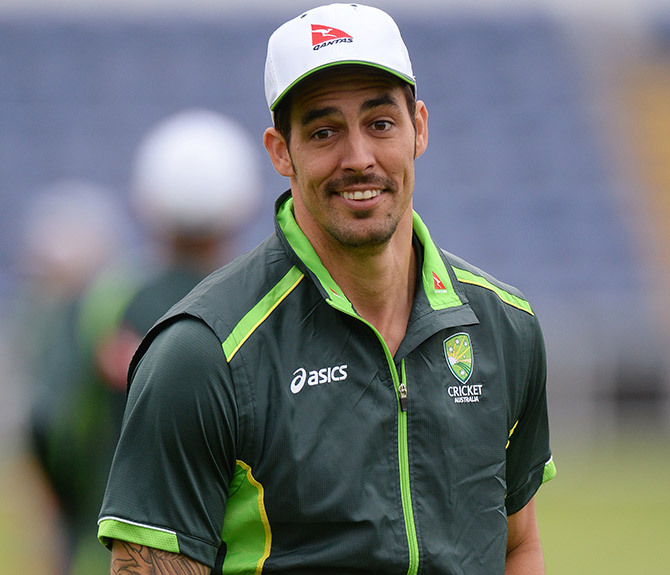 "Mitchell Johnson is as ready as I've seen him. He's bowling as fast as I've ever seen him bowl in the nets and he's swinging it too. It's not fun to face," Clarke told reporters. "He's fit, healthy and excited about what lies ahead. There's been things said about whether he can perform in these conditions and that's put fire into his belly." Johnson will be backed up by fellow fast bowlers Mitchell Starc and Josh Hazlewood, with Peter Siddle or Pat Cummins, who replaced the retired Ryan Harris in the squad, also set to play. 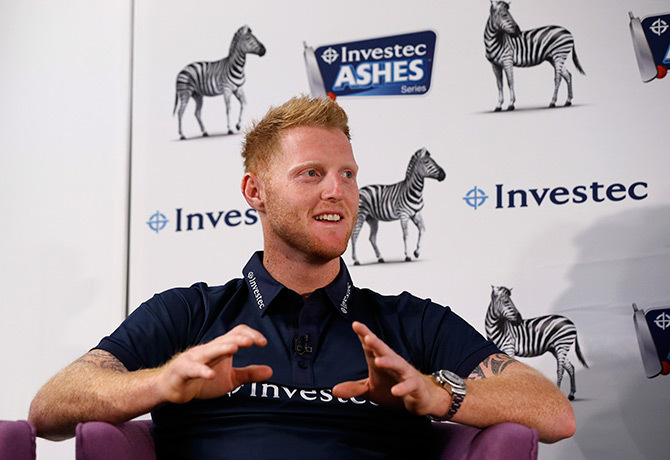 Cook picked out all rounder Ben Stokes as a player who could help win back the Ashes for England. Stokes was the one bright light from the last Ashes series, scoring a maiden Test century in Perth and, although averaging just over 34, began this summer with a bang when he hit the fastest Test century by an Englishman for more than 100 years in the first Test against New Zealand. 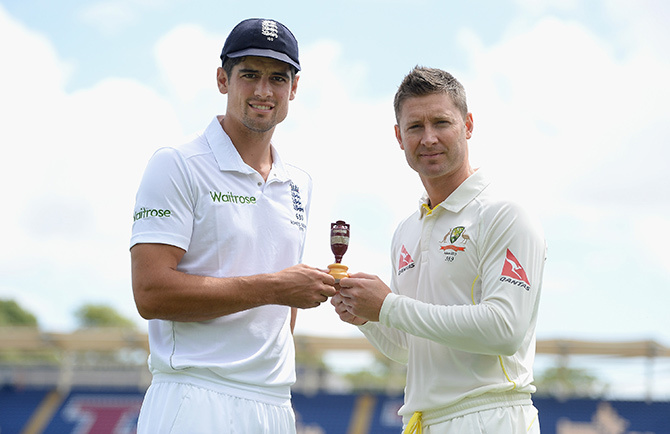 "So far he's had a very interesting career, but over the last six months he's really matured as a cricketer," Cook said. "Being left out of the World Cup would have hurt him. I like the way he has gone about his business this summer. He's trained really hard. Physically he's in really good shape."